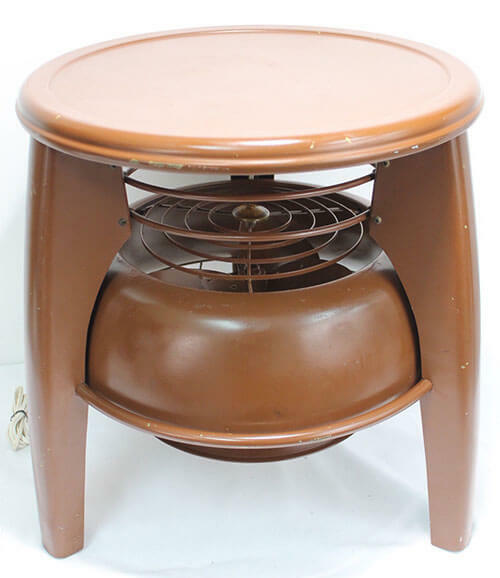 It’s a bird — it’s a plane — it’s a foot stool — it’s an antique fan — it’s our woddity of the week — a vintage Vornado step stool/fan combination that Pam found listed in the Salvation Army’s Ebay store. 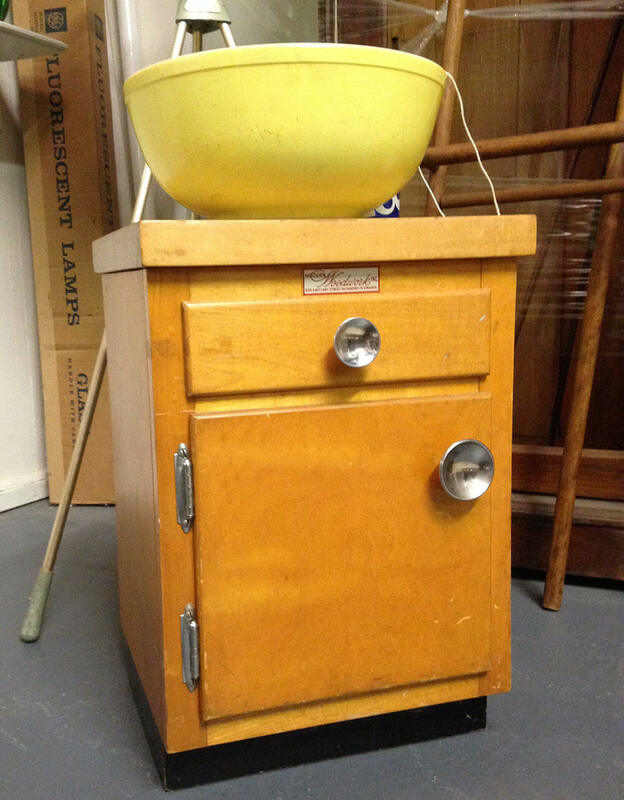 Even if you’re not quite sure how to classify this vintage multi-tasker, you can be sure that it is unlike any stool or antique fan we’ve ever featured on the blog. 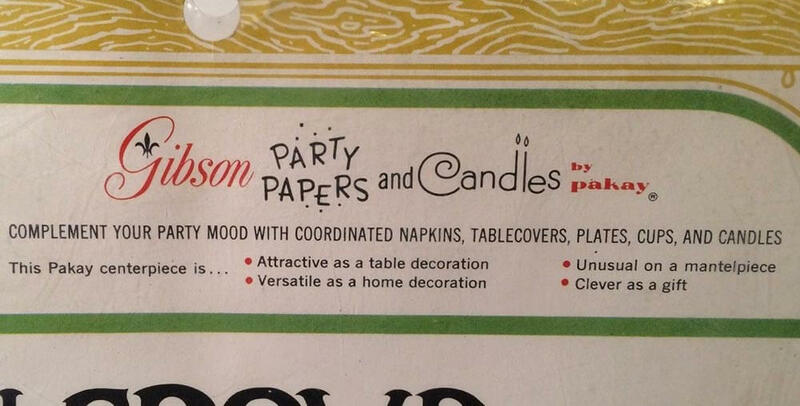 One has to wonder — who decided to marry a stool and fan into one design? Honestly the idea had never occurred to me — but now that I see it — it makes some sense. 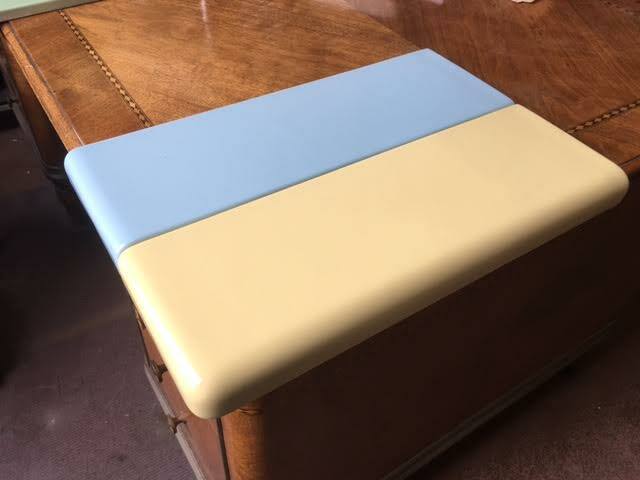 Update: Thanks to readers who immediate told us, this is called a “hassock” fan — and they were not uncommon in the days before central and window air conditioning. 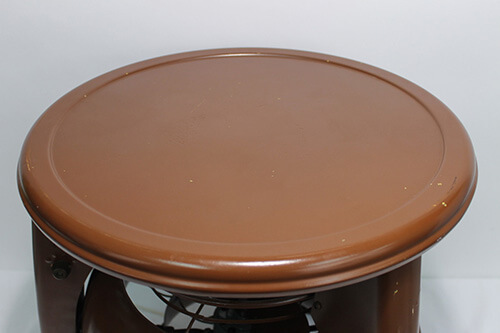 The placement of this fan must help keep the metal stool sturdy, with all the extra weight and bracing that it provides. 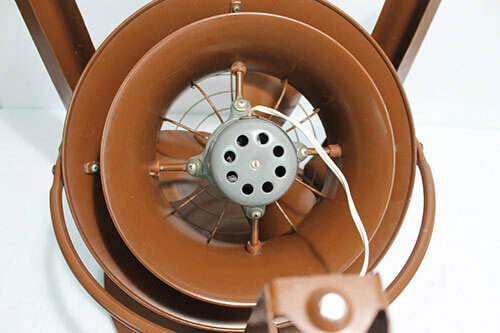 It appears that this antique fan can be pivoted to create breezes any which way. 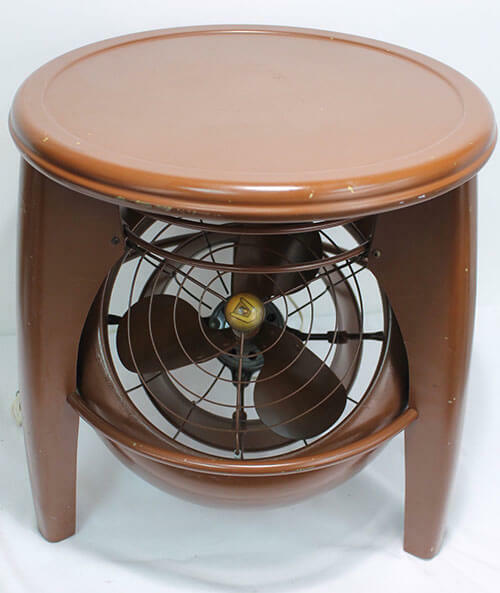 At 16.5 inches in diameter and 18.5 inches tall, I don’t really envision many people using this stool on a table top for a fan — seems a little large to me — but instead as a floor fan that circulates the cool air that has “dropped” to the floor. 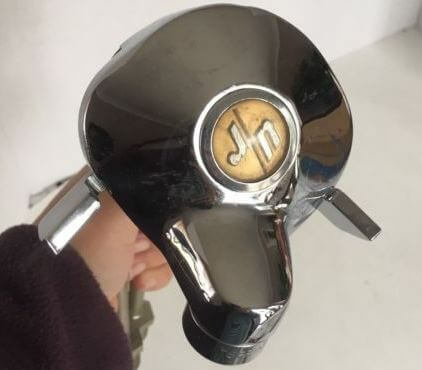 The company’s identifying logo — in an awesome vintage font — is pressed into the fan near the control knob. Apparently this fan has four speeds. 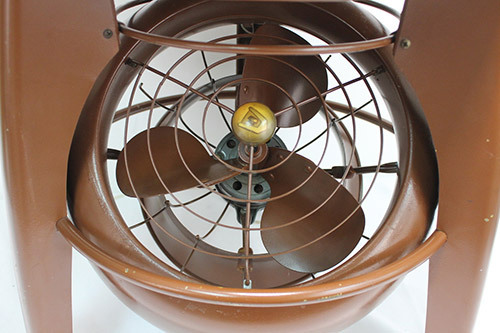 We think that antique and vintage fans from the 20th century are quite collectible — and they are *relatively* easy to find, since air conditioning was not very common until… when? the 1980s? Pam owns a wonderful, built-like-a-tank Kenmore fan — the kind you’d put on the floor, it’s quite large. Vornado fans may be the the most collectible. Do we have an readers who are experts in this area of collecting? Pray tell! 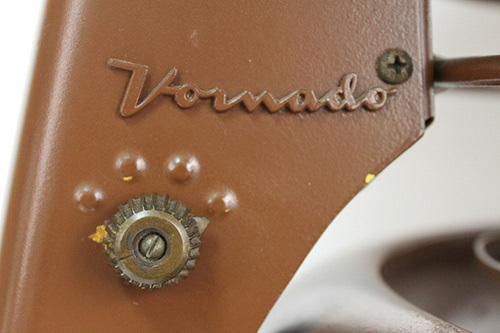 Vornado is still in business, making fans and other air conditioning devices. Every once in a while, they come out with a retro inspired design. But we don’t see anything like that available right now. So, if you like the look — and all that steel!— it seems that vintage is the way to go. Be sure to get the wiring checked by a properly licensed professional. Mike, we don’t do valuations here.